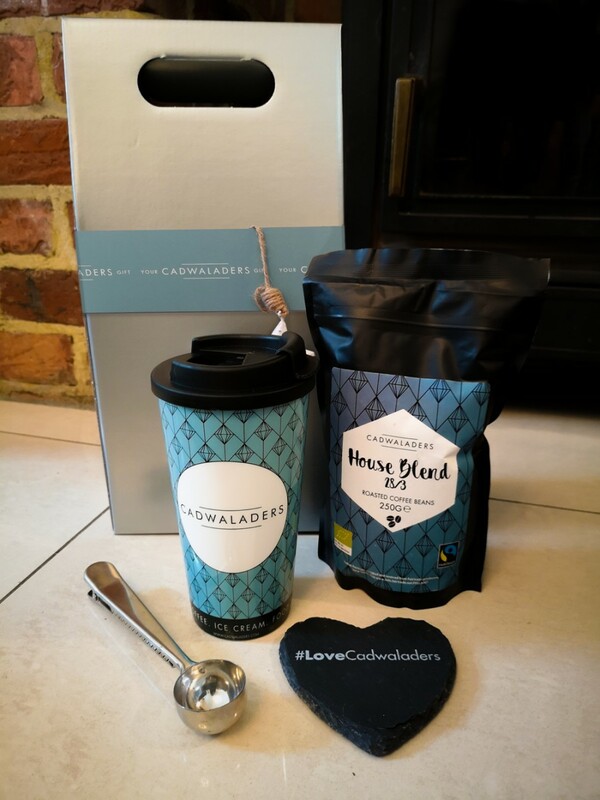 Inside this Coffee-Lover’s Gift Box you’ll find a treasure-trove of delights, starting with our Heavy bodied bespoke ground coffee with notes of baking chocolate, sweet caramel and hazelnut. A scoop with silver finish, designed with an ingenious clip to re-seal your coffee bag once finished, ensuring they’re kept fresh. 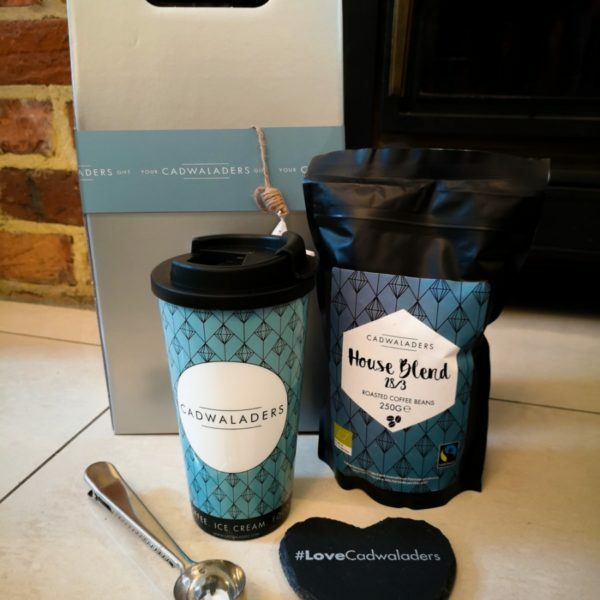 A real slate stone heart coaster and your very own Cadwaladers Eco Mug, so you can take your coffee on your travels ensuring it won’t get cold.